Dannyelle Moon strides off the field to a volley of high-fives, fist-bumps and applause from teammates and coaches. On the opening day of the fall season, the Blaine High School sophomore has just given her best performance yet. She didn’t score a goal or run faster than the competition. Instead, she and her shotgun shattered targets moving faster than 40 mph 24 out of 25 times at the Metro Gun Club as a part of the trapshooting league. 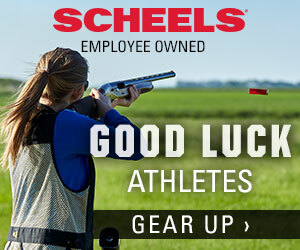 Welcome to the Minnesota State High School Clay Target League, an activity exploding in popularity across Minnesota. Its sudden rise — about 100 schools have signed up — is forcing state athletics officials to consider their role and confront an at-times uncomfortable aspect of the sport: It’s probably the only school-sanctioned activity in which students wield firearms. “That image of kids and guns … one superintendent told me it was a ‘red flag,’” Mark Fredrickson, president of the Minnesota State High School League board of directors, said during a meeting Thursday, Oct. 4. That’s not a concern backers of the sport shy away from. To use the word “controversy” to describe the program would be an overstatement. There have been no public protests or publicized objections in schools where programs have started, including Stillwater, Wayzata and several others in the Twin Cities. On the contrary, many involved say they’ve been met with encouragement by parents and classmates. Like many of his fellow board members, Fredricksen said he has been impressed with the professionalism and popularity of the clay target league. While he passed along the “red flag” concern of a Waconia-area official, he said he’s generally supportive of the activity. 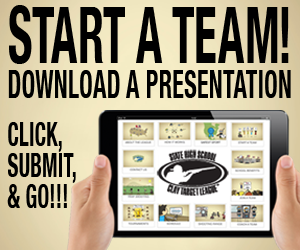 In each of the schools with a program, administrators gave approval before a team was formed. Many coaches are school staffers. The more schools sign up, the easier it has been for neighboring schools to become comfortable, Nelson said. Blaine coach Larry Osmek said he has witnessed that phenomenon. For years, Osmek has taught a field biology class titled “Outdoor Adventures,” which has included trap shooting. When he first approached school officials about the idea of a competitive trap team, he was turned down. In the spring, Osmek launched a program in Blaine. Next year, Osmek expects more than 100 students to join. Today, more than 1,500 students participate in programs statewide. “I keep wondering how long this can go on, but we keep getting more inquiries from parents and students every week,” said Jim Sable, the clay target league’s founder who runs the operation with his wife and Nelson. Sable has modeled the league’s rules and standards after those of the Minnesota State High School League, which oversees high school sports in the state. He often has called MSHSL executive director Dave Stead to inquire about how a student’s conduct would affect his or her standing if it were baseball or softball. In other states where hunting is popular, 4-H clubs and sportsmen’s groups sponsor youth leagues. But it doesn’t appear that any state has anything on the scale of Minnesota’s. Sable and Nelson said they’ve received inquiries from groups in a number of other states considering modeling their program after Minnesota’s. Clay target teams are currently in the realm of club sports. Some schools award students varsity letters, and many give the team space in the yearbook. But the activity isn’t sanctioned like football or hockey. The sport’s rise in popularity prompted the MSHSL to consider its relationship with clay target shooting at its recent board meeting. The clay target league has asked the MSHSL to sponsor its annual state tournament in Alexandria, and a board vote is expected in December. At this point, the clay target league isn’t asking to become a fully sanctioned sport, although that’s primarily because the MSHSL prohibits competition on Sundays. Many teams compete on Sundays because it’s the only day when gun ranges can squeeze them in. If you ask the kids who compete, there’s little question. Introduced in 1990, trap shooting is one of nine shooting events where Olympic gold is awarded. Christian Dahl, the top gun on the Blaine team, averages a score of 24 out of a possible 25 per round. Troy Wright, whose daughter Anna is on the Blaine team, said varsity standing is the next logical step. “It would give the sport a lot more acceptance in the larger community,” said Wright, who with other parents is starting a booster club to raise money to offset the $100-per-season cost.